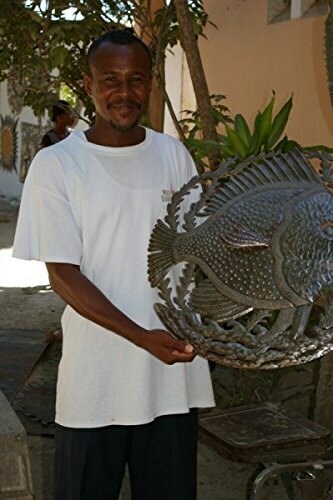 Handmade Haitian Metal Art Fish Under Water 23" x 23"
This beautiful, hand crafted wall art is made in Haiti. 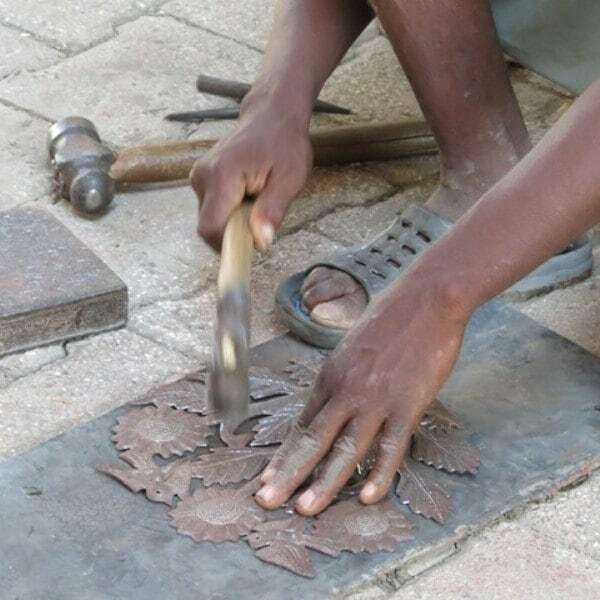 Fashioned from an old oil drum, the Haitian artist (Guy Duval) has hand cut and chiseled this design. Made with only his hammer, chisel, and imagination! 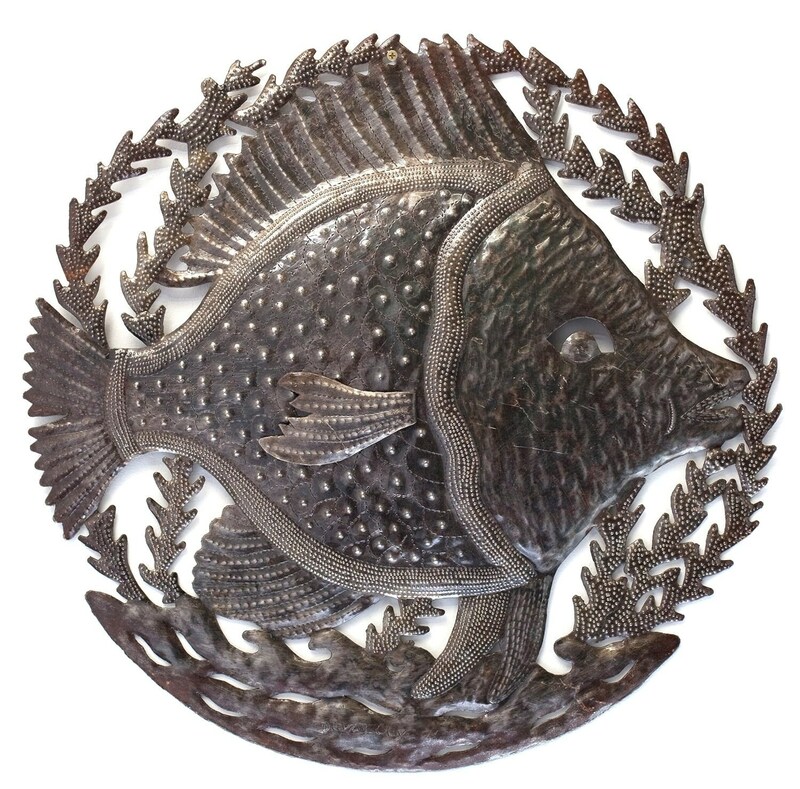 Beautiful design features lovely raised and texured fish. Finished off with a light, clear laquer to help retain it metal color. Perfect for a garden too! Released with the Fair Trade Federation approval. 23" round fish themed sculpture.